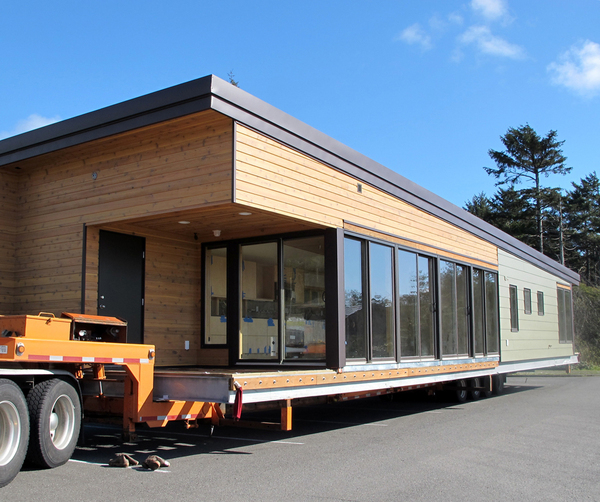 The Prefab SML Series is based on three simple, single module structures that are designed to arrive 90% complete to the site. 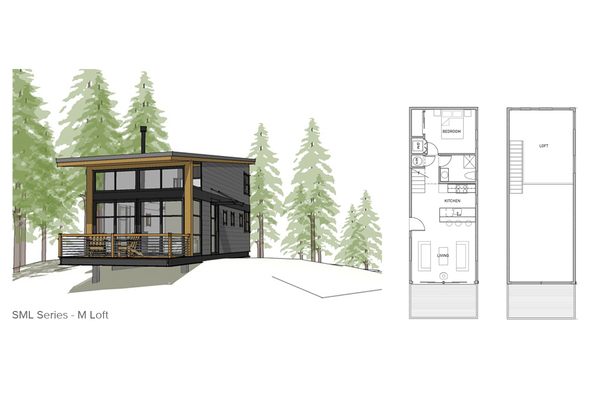 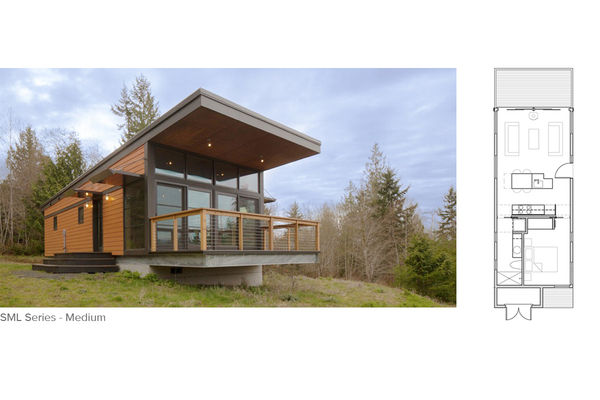 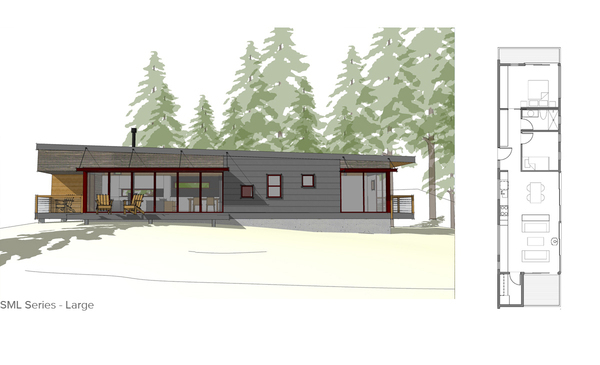 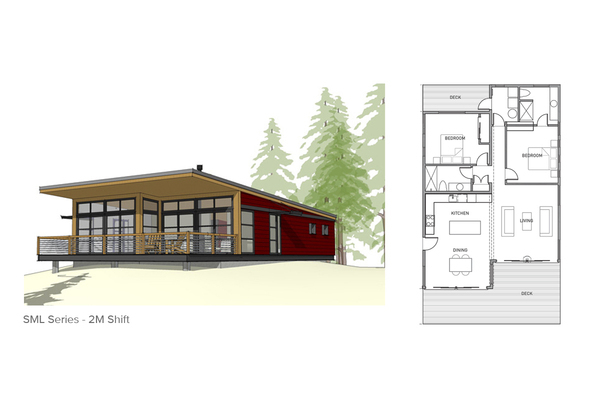 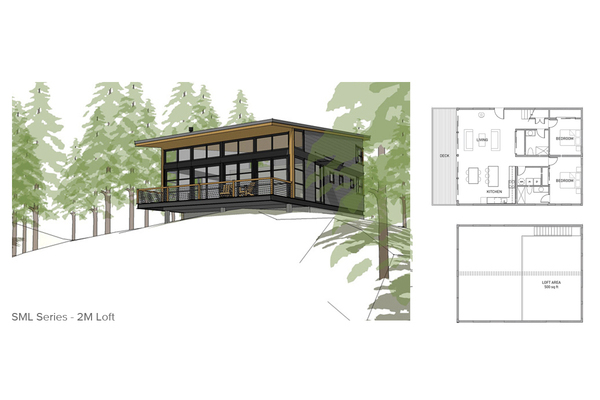 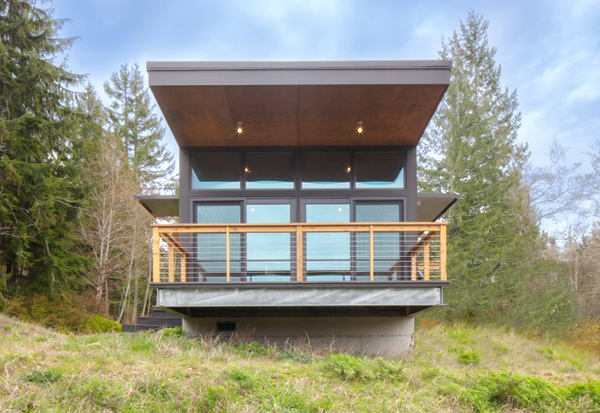 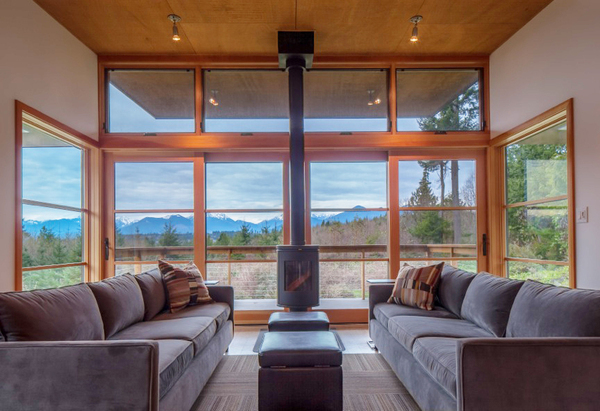 The three base models in the Prefab SML series vary in size and can be utilized on or off the grid as cabins, guest houses, studios, offices, accessory dwelling units, or primary residences. 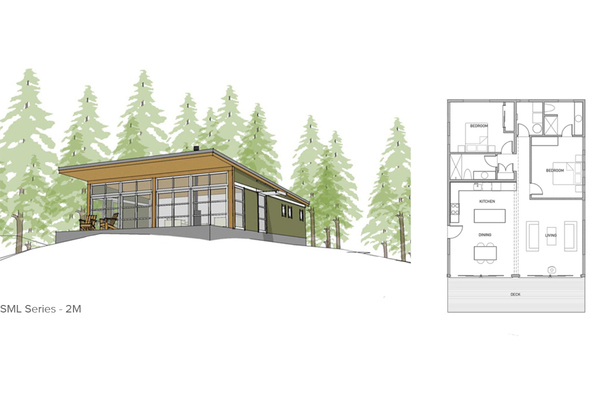 Smart, efficient, and well designed, these homes highlight custom detailing and our natural modern aesthetic. 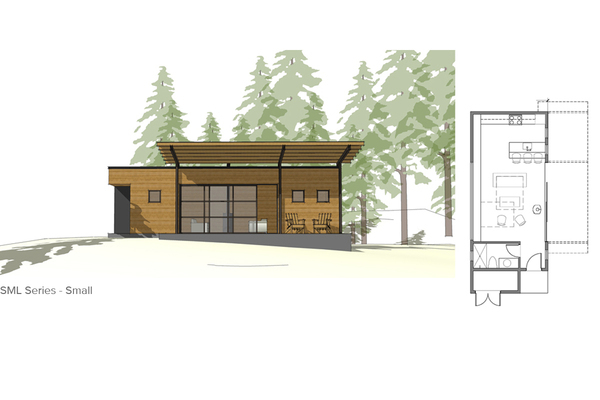 All models in this series create a strong connection between interior and exterior spaces and include the use of sustainable and low maintenance materials throughout. 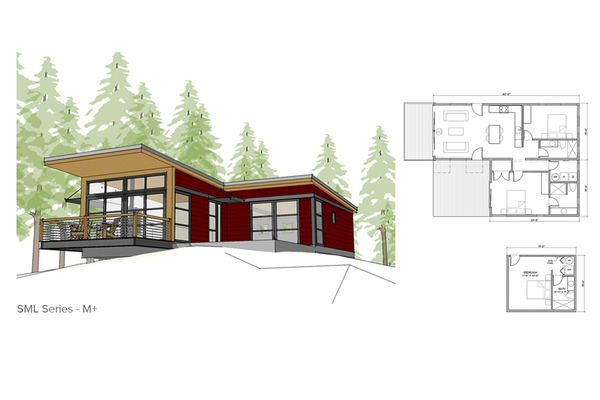 We've developed several variations on the Medium model, allowing a variety of configurations. 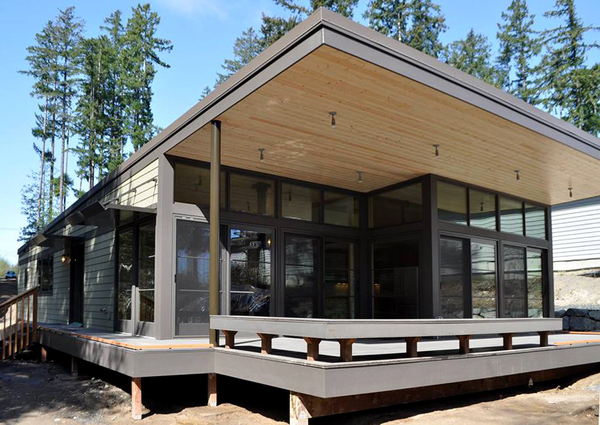 See more about the Prefab Process.